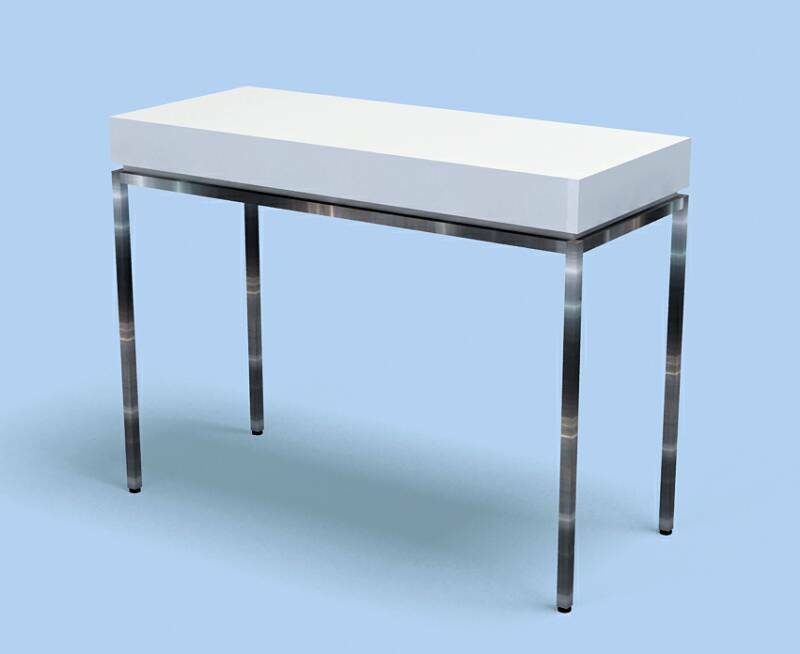 Category: Retail Tables.Tags: Hair Salon furniture, Retail Salon Furniture, Retail Table. Our Multi Experience Table is the perfect retail table for highlighting featured products. Stainless Steel frame and laminate or lacquered surface finishes available.